1)This product should be stored in black, airtight container, avoid direct sunlight, keep away from heat. 2)Need to keep out of the light in the whole printing process, the pipeline and ink sac of the printer should use black light proof material. 3)Avoid contact skin when the ink is not curing, if accidently touch, wipe immediately with tissue, and then wash with soap, go to the hospital timely if skin sensitivity occurs. 4)Use HUACAI UV cleaning solution to clean the pipeline, printhead before use this ink, to avoid any damage to the nozzle please do not use other band of cleaning products. 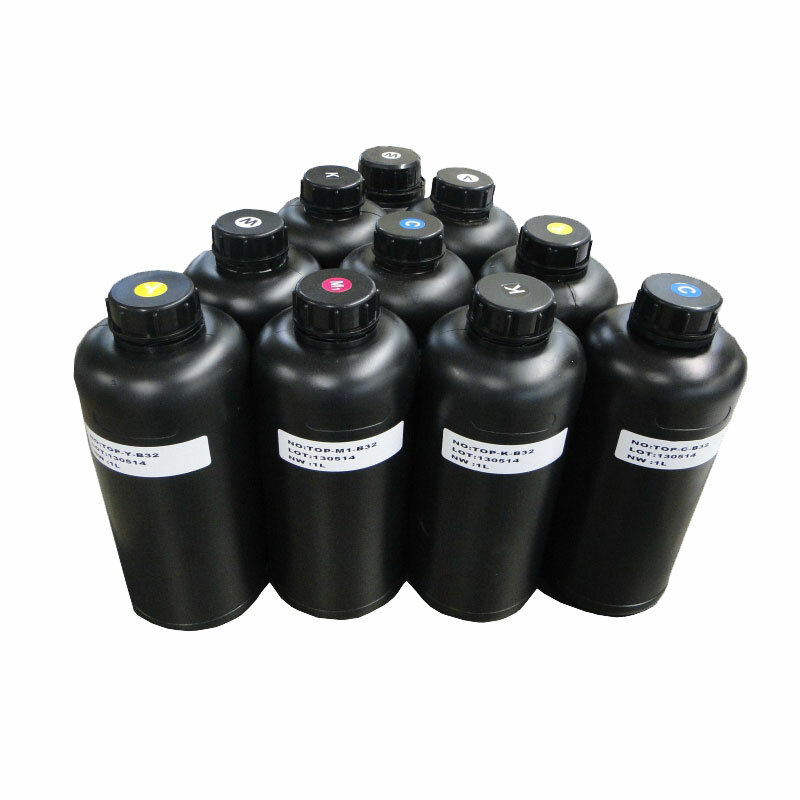 5)Please shake it before use the white UV ink.6)Keep the surface of the media clean and dry before printing.